Hijacked accounts and zombie computers are a significant threat to the grammar police all over the everywhere. 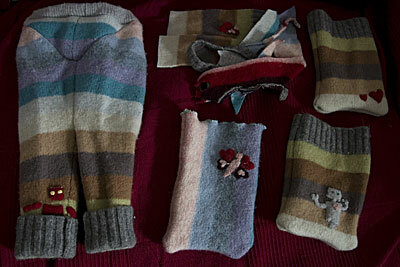 How many things can I make from one felted size 8 lambswool jumper? If you are in internet explorer this post will look very dull indeed. Get a different browser, you crazy fool! So, the various lovely things that can be done with the CSS3 property text-shadow, whilst still lost on Internet Explorer users, are definitely still worth playing with. David Desandro’s 3D Text Tower effect, as popularised by Chris Coyier is pretty darn cute. It’s not just for 3D effects though..
dojo master regexp your arse, glasshoppa! Dojo Toolkit and Regexp monster child runs amok. Citizens terrified. Where will it stop?? I want to put ‘>=2 ‘ in a combobox. Dojo master say no. In fact, it seems to be escaping any even vaguely ‘dodgy’ characters. I can’t put < in, fair enough. I can’t put & in. I tried ‘<‘ even. It converts that to & lt; but it won’t resolve anything with an ampersand in either. This bug, and yes I say it IS a bug, is bugging the arse off me. bloody wordpress is at it too! Leave me the hell alone! What is wrong with you people?!? !